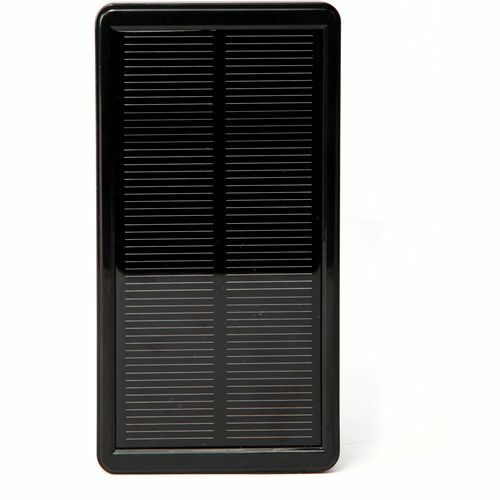 Solar Rechargeable Portable 1850Ah Black Charger. Will charge from sunlight or can be charged from USB 5V 1A. Charge time 10-15 hours by sunlight, 3 hours by 1A USB. Charges a typical smart phone up to 90% full charge in the same time as a normal AC mobile charger. A 3 LED display shows battery charge condition and red LED indicates solar charging. Slim design measuring 146 x 76 x 10mm. Will fit easily into a pocket or handbag.